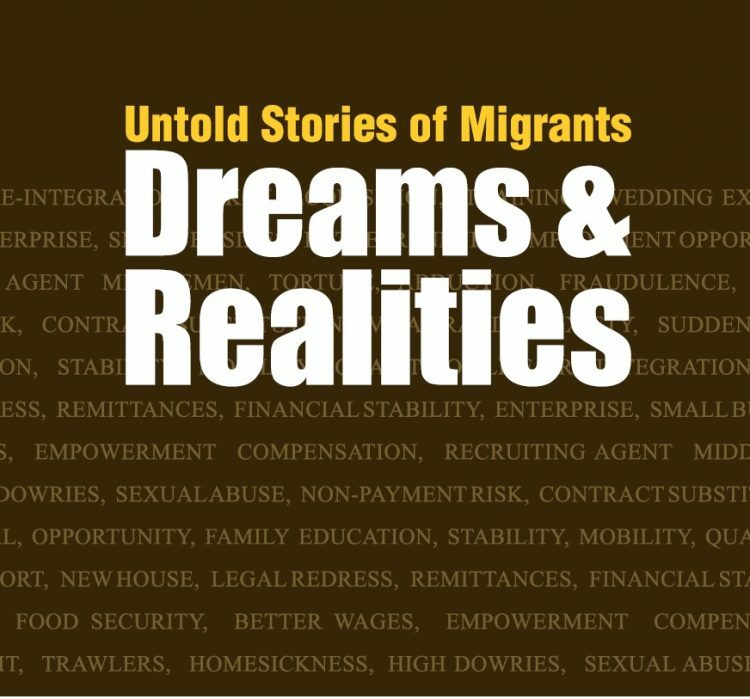 As we celebrate international migrants’ day, MFA takes the pleasure of launching ” Untold Stories of Migrants: Dreams and Realities”, a book about migrant’s voice. The book documents one hundred fifty (150) men and women of Bangladesh who took up overseas employment narrate their own stories on success and failure. Their stories confirmed that migration is an extremely complex phenomenon and that there is no single narrative. It is multi-causal, there are macro level economic, social, political and environmental realities that create the conditions of migration. The stories are collected by the Refugee and Migratory Movements Research Unit (RMMRU) over a period of 20 years and edited by Dr. Tasneem Siddiqui. The book is structured into six main chapters, based on migrants’s destination: the Gulf States, other Arab States, Southeast Asia, East Asia and South Asia. The analysis part looks at the drivers of their migration, followed by a commentary on the time-period, the money they spent on migration and what they earned. Subsequently, the book looks at the fortunes and misfortunes of migration.